574 days. That’s exactly how long rent control lasted in Toronto. It’s been an interesting year and a half since the re-introduction of rent control to the Toronto real estate market. Despite the “goodwill” of the Wynn-led Liberal government, rent control completely decimated the rental market and has resulted in rent increasing by more than 10% last year (and even higher in the downtown core). In today’s Insight Article, we’re going to provide you with an unbiased opinion on this topic, with no political slant. The New Rules – Effective November 15th, 2018, rent control will be lifted on ALL NEW unoccupied buildings. But let’s make this crystal clear – rent control has NOT been lifted on all existing properties; it has only been lifted on all properties that have NEVER BEEN LIVED IN before. This new ruling applies to new basement suites and secondary suites under construction as well. You are still allowed to increase rent above 1.8% on tenants on a NEW HOME (At this moment, they would be the first tenants). Two Cents – My initial thoughts upon hearing about this new ruling was literally [BREAK] “FINALLY!” with a sigh of relief. This is not because I think increasing rent above what a tenant can pay is fair, but because rent control has absolutely decimated the rental supply market by incentivizing people to never move from their existing rental units. If you want to read the actual legislation, I’ve included it for you below. Well, unfortunately, if you break down the details, nothing has really changed. Since rent control has only been lifted for properties occupying (i.e., finishing) after November 15th, 2018, the only people who will be benefiting from this are pre-construction investors. This was an early Christmas gift to you if you’re a pre-construction investor! If your new pre-construction property is ready for occupancy now, you are free to increase rent on lease renewals as much as you want. Two Sides of the Coin – It’s been a bit of a double-edged sword last year with regards to rental pricing on new pre-construction units that were ready for occupancy. On one end, landlords wanted to make sure that they got the highest possible rent from putting their first tenant in the unit (because of rent control), but on the other hand, they didn’t want to risk the property being vacant when so many other units in the same building were ready for occupancy at the same time. 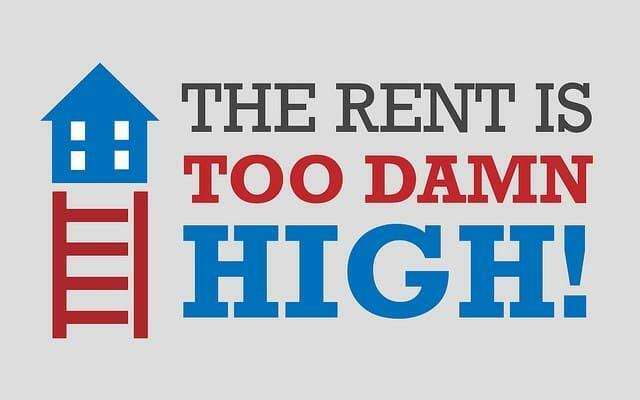 Now with the new rent control rules, you don’t have to worry about that dilemma any longer. You can have your cake and eat it too! Does this mean that there will be a huge influx of pre-construction investors coming to the market again? We’ll see in 2019. Rent control wasn’t the only reason for the slow down in pre-construction sales. What About Tenants? On the other hand, if you’re a tenant, you don’t have to worry about your existing lease. Landlords are not allowed to increase your rent above 1.8%. However, if you do decide to move and lease a brand new, never lived in before property, beware – you would no longer be under rent control. How Does This All Affect the Market? In actuality, it doesn’t really affect the market as much as you may think it would. I honestly think this was a strategic, political move. This doesn’t affect any of the existing inventory of homes. It only affects new-build properties, which is a very tiny fraction of the market to start with. Furthermore, most people purchase a pre-construction house for personal use. So boiling it all down, this means that only pre-construction condo investors are affected, which is a very, very small percentage of the real estate market. Winning Votes, Seemingly? The only thing I will applaud the PC government for attempting is trying to increase the rental supply. The removal of rent control on new builds is “supposed” to incentivize pension funds and developers to build more purpose-built rental buildings. However, as part of the new housing policies, the PC government also removed some of the development charge rebate programs, which is counterproductive to incentivizing developers to build. At the end of the day, even if developers do build more properties, the rental rates will still remain high. Toronto is not going to get any cheaper. Thumbs up to the PC government for trying to address the supply issue. However, it’s just not enough to have any real significant, lasting impacts. The Wrap – To close off on the bright side, as investors, if you have any pre-construction units coming onto the market, it’s time to jump for joy! If you’re on the sidelines debating on whether to invest in pre-construction condos, this might just be the right opportunity for you to get rolling with your plans. Not many Realtors will tell you this, but the honest truth is that not all pre-construction projects are worth investing in. If you want to ensure that you only invest in the right project(s), please reach out to us and we’ll let you know all of the do’s and don’ts! Previous Previous post: Rental Rates Are Higher Than You Think! Next Next post: How Inflation Will RUIN Your Retirement Plan!